Faye Sahai is the Senior Director for Innovation & Inclusion at Exponential Talent. She has been singled out and celebrated as an innovation growth leader and diversity change catalyst in multiple companies including AIG, Blue Shield, Deloitte, Charles Schwab, and Kaiser Permanente. She served as the AIG Global Head of Employee Experience, and AIG Executive Advisor of Global Women in Technology and UP Upward Professionals, and was nominated for the Women Executive Leaders Initiative and Global Inclusion and Diversity Task Force. She was one of founding members and leaders of Kaiser Permanente’s Women in Technology (WIT) and Women Embracing Life and Leadership (WELL) programs. 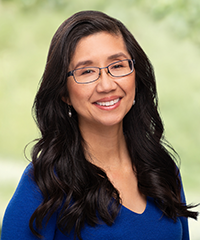 As an innovation adviser to companies, start-ups, and accelerators, Faye serves on the Board of Directors for Ayogo Health Inc.; co-chairs the Innovation Executive Forum at the Berger Research Institute Work, Life and Family at Claremont McKenna College (CMCAA); serves on the CMCAA boards and Boards of Advisers for Somnology MD and Autonomous ID; is a member of the board for Ascend Leadership Western Region; and she is co-chair of the Innovation Executive Forum. Faye many forms of recognition include: being named on the Insurance Business Hot 100 and Elite Women in Insurance Business America in 2017; she received an Ascend Leadership Award in 2017; was named among Computer World’s Top Premier IT Leaders in 2015; and received an Award for Outstanding Contributions to the Kaiser Permanente Asian Community and Innovation Enterprise Best Ideation Award in 2014. A sought-after speaker, Faye has delivered presentations on diversity and innovation at the Consumer Electronic Show CES, ABIM, Chief Innovation Officer Summit, Venture Beat, Apps World, Watermark, Smart City, UCLA, Monte Jade Science and Technology, Blue Print, ACG Silicon Valley, UIX Global, Women in Tech, Institute for Health Technology Transformation, C200, Alchemist Accelerator, Plug & Play, EY Disruptive Innovation, Worth Conference, Insure Disrupt, and Corporate Innovation Huddle events. Faye received her Bachelor of Arts in Economics and Psychology from Claremont McKenna College and her Master of Business Administration at the University of California, Los Angeles Anderson School of Management.